2. Julie Doiron and the Wooden Stars (Sackville/Ottawa) - 6:15-6:45 pm - JUST ADDED! ART ON STAGE designed and created by Suendrini! 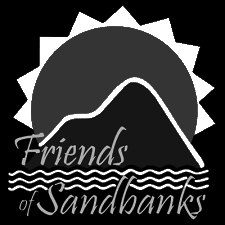 $1 from every ticket will go the Friends of Sandbanks to support the upkeep and development of the delicate park ecosystem. Thanks for your support! Please note there is an additional parking fee per vehicle of $11.25 to get into the Provincial Park. Come early and spend the morning on the beach to make the most of your day! Advance tickets are non-refundable. This is a rain or shine event. Your advance e-tickets will be delivered via email and you can print out to provide at the gate on September 15, 2018. All e-tickets display a unique QR code which we will use to scan at the gate. NOTE - Advance Sandbanks Music Festival tickets are available locally at Books & Company (289 Main Street) for $30+HST. Contact dave@zunior.com if you have questions about tickets. STAGE LOCATION - Please note the event area is located at the Outlet Beach Stage, otherwise known as 'The Amphitheatre'. It is located at Parking Lot #12 on the main beach at Sandbanks called 'Outlet Beach'. We will have signs for our event guiding you where to park as you get close to the location. Remember you can always ask for directions at the main Sandbanks gate where you pay your parking fee upon arrival in your vehicle. Get ready for great food at Sandbanks Music Festival. Local food vendors will be onsite including Picnic Food Truck, JK Fries, Outlet Food Co, The Shore Oysters, Bajan Bites, IDLE WILD pec, Lemonade Dave, Chill Zone Ice Cream and more! The Sandbanks Music Festival event area is licensed for sampling local wine from Lighthall Vineyards, local cider from County Cider, spirits from Kinsip, mead from Honey Pie Hives, along with local draft beer from Parsons Brewing! You've got to camp! Sandbanks Provincial Park has the best beach, the smoothest sand and the best camping in Ontario! This festival provides a completely unique opportunity for festival-goers to enjoy the beach/show/art/food and then walk right to their very own campsite! Camping Option A - Trailer Comfort! There are so many great places to stay in The County, so please take a look at our FULL ACCOMMODATION OVERVIEW for great ideas! Click here for our full overview of great places to stay in and around Sandbanks Provincial Park. Free kids programming all day long in the Kids Zone Tent! 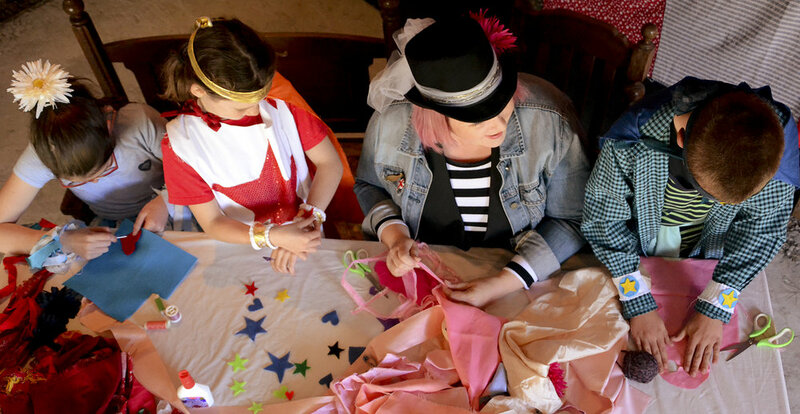 Costume Creations by Small Pond Arts: Kids love dressing up, and they love making stuff! At Costume Creations, they can experience the best of both worlds, as our team turns ordinary kids into superheroes and fanciful characters by helping them make their own unique costumes. A family favourite at Sandbanks Music Festival since 2014! Face Painting: Face painting is real art, and we’ve got a real artist to do it! We're not just talking about cute cat faces, but real one-of-a-kind temporary masterpieces that the kids will love. Kids Parade: New for 2018! Stay tuned for more details about our parade featuring your little creative kids! The Kids Zone Tent is sponsored by our good friends at The County. Across the breath of society, Suendrini’s handcrafted, eco-friendly art has been communicating another visual language for the importance of biodiversity, natural habitats and climate change since 2013. Her original art has been adorning our stages with colour and movement as of 2015. Please stay tuned for more to come from this award-winning cloth creator. Art On Stage - Sandbanks Music Festival 2018! The grouping of words above is the foundation for Suendrini's latest art on stage, PROTECT, created especially for Sandbanks Music Festival 2018. PROTECT is left open to interpretation, so that you, the reader, can connect with the piece in your own way. Faces: This is Suendrini's first attempt at creating human faces in a stage-art installation. Graphic and modern elements are characterized in the elongated, bare-featured profiles that emphasize their two-dimensional flatness. Some of the faces in PROTECT are that of dealmakers, speaking over endangered mammals with a tanker spill in the background. The toxic mix depicted is one of bitumen sand and diluent. Under the word “Progress,” where the quotes signify irony, Suendrini attempts to capture in colourful textile the prism rainbow-like effect oil has on water. The faces to the right are that of protestors, defending the natural environment as chinook salmon swim by. Southern Resident Killer Whales: On the right is an ethereal hot air balloon with the word Protect stitched in. Cradled below by repurposed marine ropes is a scene of grief and mourning. This section of the installation is Suendrini's reinterpretation of a recent, moving watercolour painting, SEE ME, by Washington State artist, Lori Christopher. The piece sent her imagination in search of her own idea of the loss and letting go felt by J35, nicknamed Tahlequah, who is the 20-year-old orca mother and member of the long-studied J Pod of Southern Resident Killer Whales. Suendrini hopes to present this art installation, which is based on true life events that are presently unfolding, again in the near future. Please visit her website for future updates. In Good Reef! Helping The Dusk and Dawn Chorus, Suendrini shines a spotlight on a report on new audio recordings of fish choruses around dusk and dawn of the coral reef habitat, off Western Australia - like birds on land! The findings go on to reveal, these natural soundscapes are useful for fish and other reef dwellers, like coral. The recordings are part of a larger quest to understand reef ecosystems by listening to their inhabitants amid altering ocean chemistry and warming water temperatures brought on by climate change. The four-piece up cycled textile art installation took numerous hours to sort, handcut, fold, form, pleat, tuck and sew. Locally-sourced remnant marine ropes were added as further accents of colour and texture, much like its real-life inspiration. Shimmering, blue-green lights transofrmed the outdoor stage as headliners, Great Lake Swimmers brought their melodic and reflective sound to the underwater scene scape. The projections in the The Organization for Economic Cooperation and Development’s (OECD) Environmental Outlook to 2050 suggest that freshwater availability will be strained unless new policies, awareness building and actions are taken to improve the current outlook. Sandbanks Music Festival 2016’s art on stage was inspired by Japanese artist of the Edo period, Katsushika Hokusai’s iconic pieces on Water. Suendrini created a five-piece customized art installation, titled, “Blue” that brought awareness to the powerful subject matter. Secret Beach Prince Edward County, was Suendrini’s inaugural art installation on our stage. Her six by five foot hanging textile landscape did not disappoint and kept some in our audience guessing, as it was described as being a “3D-like painting”. Created from meticulously hand cut and sewn pieces of reclaimed textiles, the enigmatic and historic Lakeshore Lodge lookout-point, inside Sandbanks Provincial Park is a frozen snapshot in time, in its elemental glory on a late summer’s day. The Sandbanks Music Festival is a partnership between the leadership and staff of Sandbanks Provincial Park and a small team of local music lovers, lead by Zunior.com's Dave Ullrich. Living part-time in Milford, Dave paid his rock and roll duty touring Canada and the world as half of the 90's duo The Inbreds, learning about what makes a great music festival. He also runs the Canadian online digital music store www.zunior.com, which celebrated its 10-year anniversary by presenting what was called the Sandbanks New Waves festival in 2014 featuring headliner Cuff The Duke. This was followed up by headliner Sarah Harmer in 2015. The event now known as Sandbanks Music Festival has featured headliners SLOAN (2016), and Great Lake Swimmers (2017). Zunior also presents the County Pop Music Festival at the Crystal Palace in downtown Picton, with headliners including Ron Sexsmith (2016), Joel Plaskett (2017), and Elliott Brood (2018). The Sandbanks Music Festival team includes logistical leadership from Lori Farrington of the Prince Edward Learning Centre, operational ownership from Emily Cowan of Quench Creative, "gettin-er-done" by Isabelle Patton from Books & Company and strategic supervision from Helen Hawketts of Vintage Map Co. Key event staffing and support is provided by Robin Reilly/Agnese Bortolussi (Park Managers), and a team of Park Rangers from Sandbanks Provincial Park. 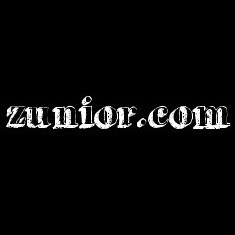 Email: Write us anytime at dave@zunior.com. Social Media: Follow us on Instagram, Twitter and Facebook so we can keep you up to speed with all the exciting things we have planned! click to buy tickets now!